“Even though the haulage and logistics market last year was on the tougher side, we still managed to win new customers, increase our revenues and strengthen our market position. On Group level, we posted revenues that were higher by more than 2% and reached CZK 4.7 billion. The automotive segment, with an increase of close to 9% year on year, was one of the main drivers of the trend. The Group also grew through the acquisition of Celní jednatelství Zelinka s.r.o. The transaction has added customs clearance to our portfolio of services, so now we can offer a service with higher added value to customers. EBITDA reached CZK 271 million,” stated Aleš Willert, Chief Executive Officer and Chairman of the Board of Directors C.S.CARGO a.s. In addition to the higher demand for haulage and logistic services, the economic growth manifested itself also in other business lines, e.g. sorting and controlling. The volume of sea and air transport has increased by nearly a half, and the service to Russia and all former CIS states grew by a quarter. The Group also forged ahead with its project of delivering tank beer in the Czech Republic. In Slovakia, the Group successfully developed the automotive segment in particular, and doubled the warehouse capacity in Poland. The Group’s total investments in the upgrade of its fleet exceeded the sum of CZK 200 million, in line with its long-term strategy to cut operating costs and increase transport efficiency year by year. “The market in logistic and haulage services is fiercely competitive. There is a shortage of drivers, the laws are more and more complicated, and the European Union’s regulation is becoming tighter. We mainly owe the success and our good performance to our people – so we want to thank them for their dedication and professionalism,” adds Aleš Willert. 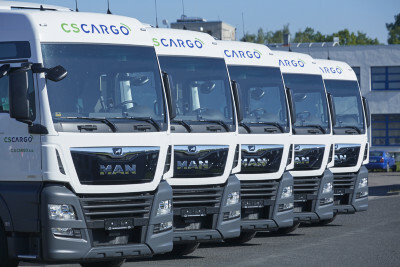 Through a network of its subsidiaries, C.S.CARGO Group has an active presence in the region of Central Europe (Czech Republic, Slovakia and Poland), ranks among leaders in Europe in the sector of road, air, railway and sea transport, and is a provider of comprehensive logistics solutions. The group’s portfolio of clients includes many industry leaders (automotive, food and beverage, construction, electronics, retail and packaging).